Multitasking is a skill that not everyone possesses, and there is even this saying that men can’t multitask if their lives depended on it. (Now that is definitely something that is up for debate nowadays.) For teenagers, though, multitasking is an inherent part of their lives. Indeed, they might suffer if they are not able to multitask. News Hour science correspondent Miles O’Brien took a look at this phenomenon and how technology plays a crucial role. What did he find out? Basically, I think he just confirmed what many of us already acknowledge: multitasking and technology go together. At any given time that you are online, you probably have at least five windows open. You probably have at least one instant messenger account on. Add to that Facebook, e-mail, and your mobile phone (which you check every so often). What I found pretty interesting about O’Brien’s report is the “brain science” behind it. He took a look at how the brain lights up during an MRI when one multitasks. Yes, the lights are bigger and there are more of them – the brain gets more taxed with more input. No surprise there. The significant point is the effect of these activities on a teenager’s brain. 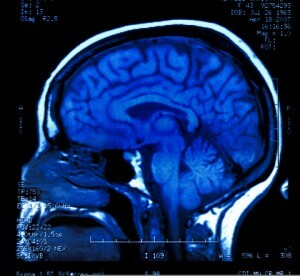 At that stage in a person’s life, his or her brain is still developing. It continues to learn and to improve according to how it is used. O’Brien’s question is one that should be considered by everyone: are the teenagers of today benefiting from the use of technology in such a way that their brains are being hardwired to perform better? Watch the video report below and tell me what you think. Multitasking is a skill! And it would be really good when you know how to do multitasking. It’s convenient though.